"No wonder you people get shot." 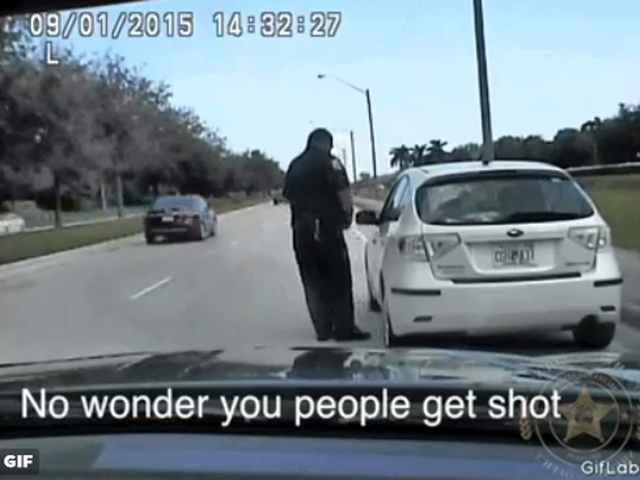 That's what a 62-year-old driver told a Palm Beach County Sheriff's deputy after he handed her a ticket for going 51 in a 20 mph school zone, 31 mph over the limit. The sheriff's office posted the encounter on Twitter as well as its YouTube channel. 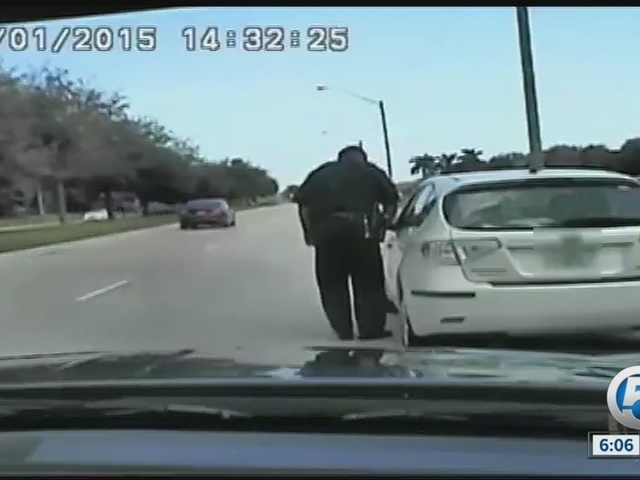 Here's how the Sept. 1 encounter played out as the deputy walked to the driver's car to hand over the citation. Deputy: You are being cited for speeding. This explains what your options are. Drive safe. Driver: You know what? No wonder you people get shot. You're absolute "a**holes"
Deputy: OK, thank you ma'am. I appreciate that. Driver: You're welcome. Have a nice day. 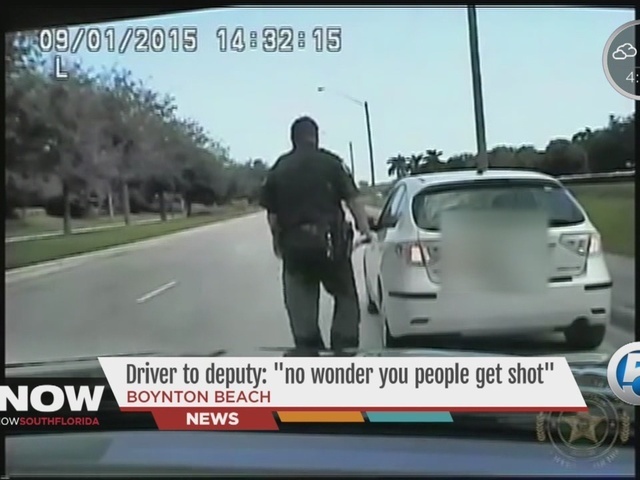 The deputy then calmly returned to his car. 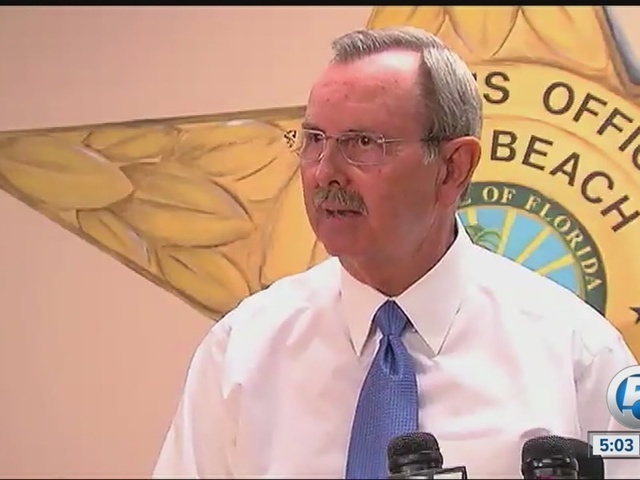 Palm Beach County Sheriff Ric Bradshaw said the driver's behavior left him disappointed and angry. "This is a deputy trying to make sure that children are safe and don't get killed in a school zone. He was doing his job. And I think it's totally unacceptable for somebody to talk to a deputy or any law enforcement officer like that, when that's what they are trying to do to protect our children,” Sheriff Bradshaw said. According to the citation the ticket cost $606.